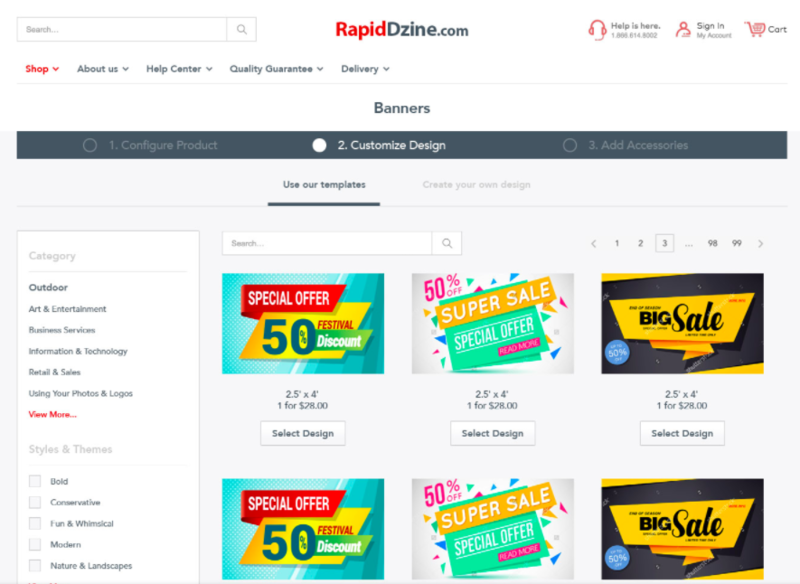 Customer support should be able to design on behalf of customer, send the it to customer for review along with payment link and customer can pay the invoice. Design team should be able to upload templates with ease and get access to template reports such as views, popularity, ease of use, etc. Implemented a product configurator tool which enabled customers to choose dimensions, material and add-ons. This allowed customers to clearly understand the buying process and increased cross-sells. Mobile customers can easily place repeat orders. Mobile users can also customize existing templates entering personal and company info. The app was conceptualized, designed and deployed in a just 114 days. This included integration with Point of Sale systems, store manager panels and integration with logistics service providers. Customers can configure products by orientation, dimensions, material and add ons. The configurator provides visual cues to help customers visualize the final product. Mobile users can view the minimalistic editor allowing them to customize the templates on a small screen. Customers can customize designs by simply entering personal or company info. The template tool made it extremely easy for designers to add/modify templates. You can add a template in less than 2 minutes. Use JetCommerce Automation to probe for help when customer is stuck on the design tool. Design live with customer, email them a link to review design and pay the invoice. Let's admit it; buying print product online is daunting. There are number of options to select from and you never know what you may end up getting. All that changes now. The live configurator allows customers to select product options and see all their changes live. 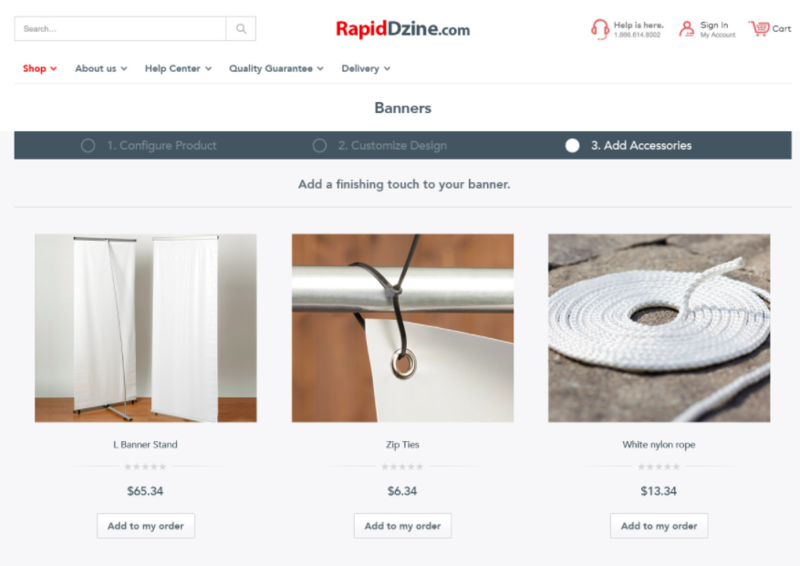 Allow customers to either upload their own design or select one from our template library. Allow customers to further customize their purchase by suggesting add-ons applicable for their purchase. Get your app without compromising on security, UX or scale.